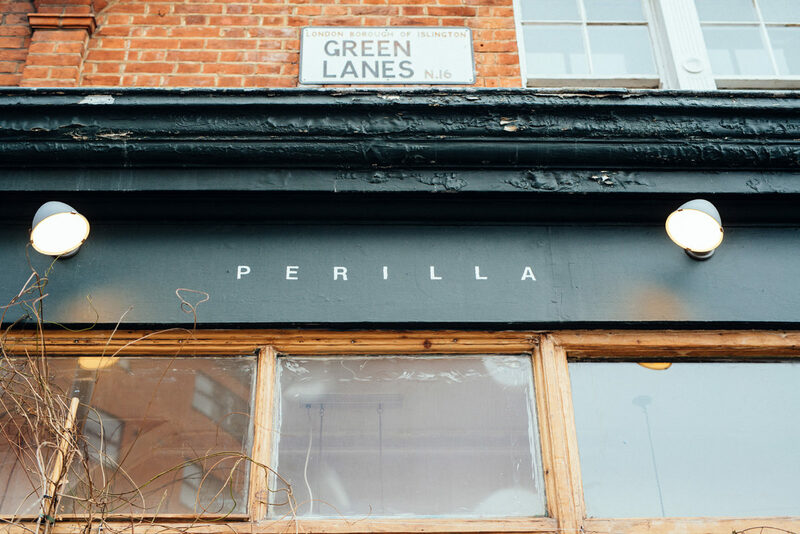 The duo behind Perilla, Ben Marks and Matt Emmerson, joined forces back in 2015 to create a series of popups, and as success quickly followed, they opened an intimate and permanent site on the borders of Newington Green. Using humble ingredients of the highest quality, the cooking focuses on a modern interpretation of classical European flavours. Something Curated met the talented chef and restaurateur to learn more about their collaborations, everyday challenges and future projects. Something Curated: What brought you together to start Perilla? Matt Emmerson: Ben and I went to school together. After, I went to pursue a degree in chemistry and Ben left for Sweden to work in a restaurant in Stockholm. 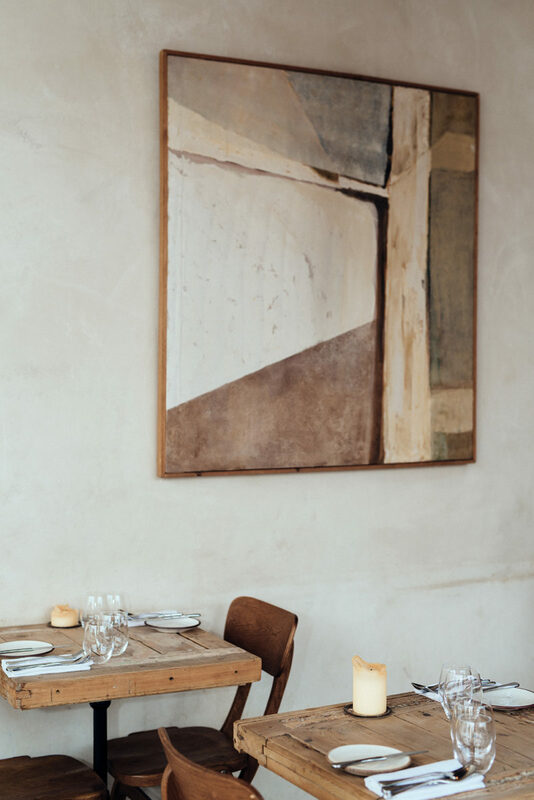 Ben Marks: After a year spent cooking at Operakällaren in Stockholm, I returned to London to undertake a formal apprenticeship with the Academy of Culinary Arts. Then I left for Copenhagen to work at Noma, and eventually came back to take on a new position as Chef de Partie at The Square. ME: After my masters in chemistry, I realised I wanted to work in restaurants too. 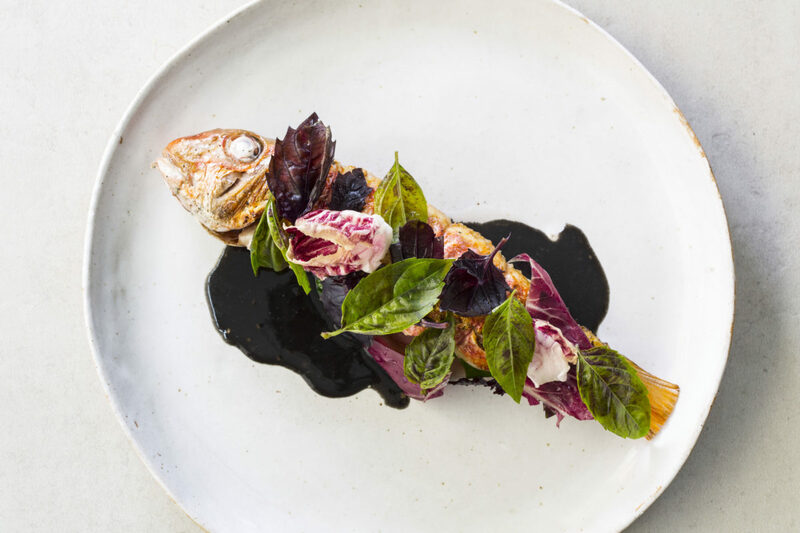 I started out as FOH at Polpo and then Polpetto, but together with Matt, we were eager to start our own project, one that would combine a very casual service with interesting food. So we decided to do a two-day event first, and as it was both good fun and reasonably successful, we started leaning towards something a little bit longer. A four-month popup at Platform 1 in East Dulwich followed and from there, we were able to raise funds for other projects. At the time, we weren’t looking for a permanent site, it came up by chance. I initially asked the woman who owned this space whether she would be interested in partnering up to host a pop-up and she answered that she was actually looking to sell. That’s when the idea of opening a proper brick and mortar restaurant crossed our minds. We really liked the building – especially the light and the fish-bowl-esque look of it. 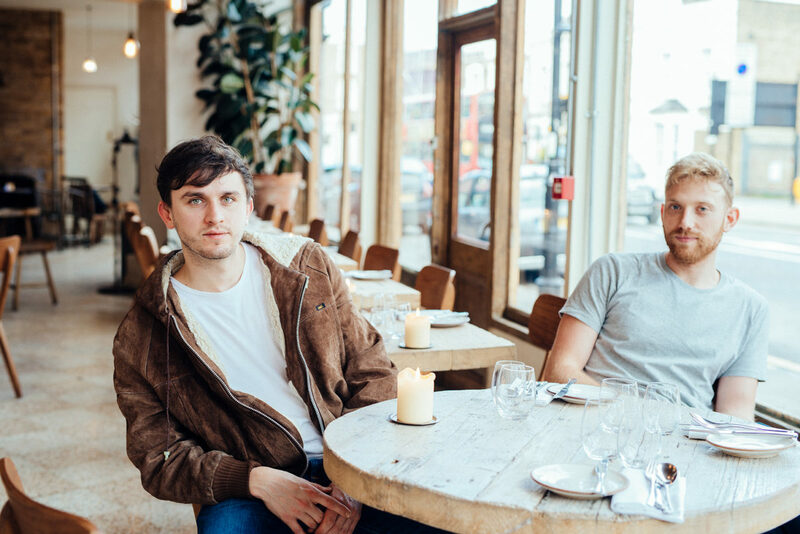 SC: What would you say is unique about the Newington Green area? BM: It is very strange because it is quite central but it also is extremely isolated. Angel is here, Dalston is there, but there is no direct tube station. It’s like a little oasis – tranquil and quiet. ME: On weekdays, it is relatively quiet. There isn’t a great lunch trade here. When we opened, we used to open for lunch but it was hit and miss. After a few months, we came to the conclusion that it wasn’t worthwhile. We now only open for lunch on Friday, Saturday and Sunday. SC: How do you design menus and come up with new ideas? BM: We design menus taking three main limitations into account: the season, the price and the fact that our kitchen is tiny. When we are brainstorming, I always bear these three factors in mind, and they allow me to narrow down the focus and come up with exciting solutions. At this point, we have only gone through the four seasons once. We learned as we went along, and there certainly have been a few mistakes, but we keep striving for the best. With the whole buzz around “creativity”, what’s important is not to force it. There isn’t a given formula or anything like that. At times we are submerged with ideas, and then things go quiet for a few weeks, or even months, and that’s all right; you should just stay calm, and wait for it. SC: Since your work is largely reliant on seasons, I am guessing sustainability is important to both of you? ME: Definitely. All our food waste is collected. We recycle all possible material. We source our fish very carefully and we are looking for eco-friendly alternatives to plastic straws. BM: Our cuisine is European-based, and we’ve been closely working with an Italian-based supplier. However, we are now looking to grow our own fruits and vegetables. We recently started collaborating with Igor Vaintraub, the founder of The Food Waste Farmer. He has been on a mission to help chefs understand the impact they can have on the environment. 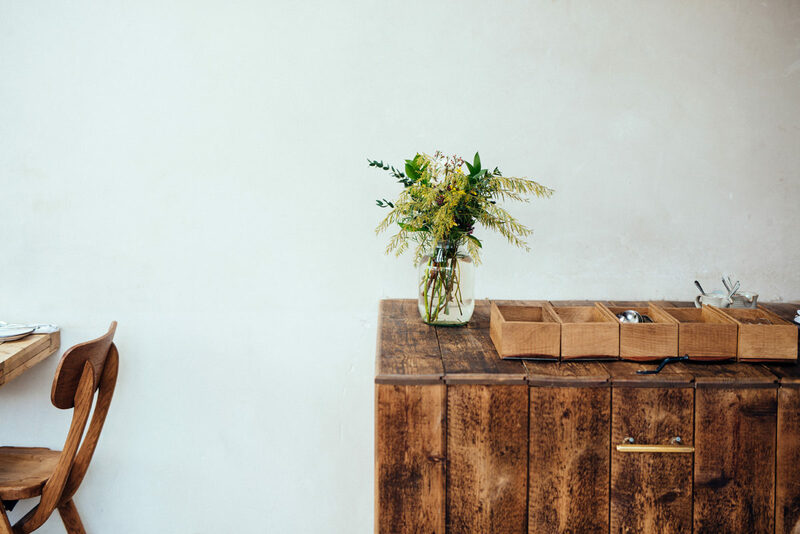 On a daily basis, he collects our kitchen waste and turns it into compost on his West Sussex farm, where it’s ploughed back into the soil to grow fresh produce. SC: One of the aims of Perilla is to bring prices down but still serve “first-class” food. How do you achieve this? BM: It’s a real struggle. We never compromise on the quality of the products we use. We genuinely don’t. They always are the finest on the market, which means we have to be creative with less. On the cow, for instance, as we can’t use the fillet, we usually use the brisket. ME: Despite setting out to be an affordable restaurant, it’s not cheap. But in terms of value, we think it represents good value. There is a distinctive difference between value and expenses. SC: The restaurant opened about a year ago – can you talk about some of the challenges you faced and how you’ve overcome them? BM: The kitchen has always been a bit of a challenge. I designed it and it is too small. At the time, we made decisions based on a tight budget; the furniture and equipment are second hand. Nothing is custom made. From leaky roofs to broken staircases, it is the building itself that has given us more challenges than anything else. ME: Red Deer Architects gave us a hand at the start; they were involved with the interior design. I think we achieved what we wanted in terms of aesthetics. But we are going to refurbish the bar and kitchen. We are super excited about this and hopefully it will help with how the whole restaurant operates. SC: Restaurants can’t function without good staff both in the kitchen and front of house, what’s your approach to create a nice environment for everyone involved? Have you taken any measures in terms of staff welfare? ME: We do think a lot about staff welfare. Hospitality is a famously difficult world to work in. Most of our employees come in for either four or six shifts a week. They can choose how many shifts they want to do. We also work as hard as we can to provide our staff with daily, fresh food. There is no screaming and shouting. It’s very important for us that there is a nice, friendly atmosphere. BM: Things are changing. People don’t want to carry on with the appalling working conditions that used to be a standard in London. But the city is facing a massive shortage of staff. Everybody I know is struggling with finding good, long-term people. And that’s something that’s making Brexit very scary. Half of our staff comes from Europe. ME: Yes, hopefully there will be some measures and it won’t affect the industry too much. SC: When you are not here, are there any other places you like to go to for food? BM: We both love Xi’an Impression near the Emirate Stadium. It is a very small, casual Chinese restaurant. ME: We also like the Turkish restaurants near Newington Lane. BM: In town, The Ledbury is by far the best restaurant in London. ME: I had a fantastic meal at Portland the other day.